121 N Croft Ave, #105, Los Angeles – Reduced Price! 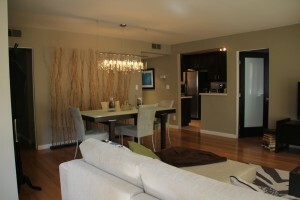 We just reduced the price on 121 N Croft Ave, #105 to $449,000. This is an amazing opportunity to get a great condo in an amazing location. It has a large master bedroom with wal-in closet. The second bedroom really is suited as an office or den. It has a lot of space and gets great afternoon light. Walking distance to great shops, restaurants and the Beverly Center. Come see it before it’s gone!